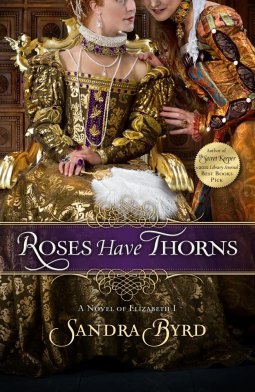 Review Of Roses Have Thorns – Sue's Reviews. I have read very little of this genre so was not sure what to expect with this novel. I an happy to say that this was a brilliant book. I started reading it late Thursday (March 21st) and finished it on Saturday (March 23rd). Every spare moment I had I gave to this book as I was so intrigued by what was going to happen next. As I have already said, I have never been a huge fan of Tudor history, but this book has actually whetted my appetite and I am now looking for more material on this genre. The book is about Lady Elin Snakenborg’s time she served as a lady in waiting to Elizabeth I. The author does say in her write up that this lady was a little known figure from this time, though she was an actual member of court and not a fictional character. In the book she is portrayed as naive and vulnerable at first, although she does seem to set her heart on marriage with one of the most influential and rich bachelors at court. Even when she discovers he is still legally married she waits for him, so I am not sure just how naive Elin – later known as Helena – actually is. That said, the book charts her life from her leaving Sweden right up until just after the death of Elizabeth I and I warmed to this character very much. The book also lends warmth to Elizabeth I and that helped me enjoy the book all the more. I am not entirely sure how likeable a character ELizabeth I actually was, not being familiar with Tudor history, but the author wove her into the story really well and for all she came across as a friendly lady the narrative was very credible. I am rating this book as a five star read and thoroughly enjoyable. I cannot recommend it highly enough. You absolutely must go out and buy it, especially if this genre, particularly anything Tudor related, is your thing. Previous Post Review Of The Border Laird’s Bride. Next Post About my reviews.